Summer is gone. It seems like eons ago that I was stressing over weeds and succession planting and watering and… it’s gone. The trees are slowly nudging out colours and dropping their leaves to the ground. The air has taken a sudden turn for the crisp. Frost has wandered into the early morning landscape. I love fall. Always have. Warm sweaters and woolies, the first fires in the woodstove, more snuggles, cinnamon in stuff, shockingly beautiful mornings and nights. No bugs. I become a hopeless romantic when the leaves change, when the air is sharp and clear and laced with straight-rising smoke from chimneys, or rendered out of focus, abstract and chaotic by driving rain and howling winds. With the first real frost no more good can come of worry. The garden transforms into a mystical beast that carried me gingerly in it’s claws through the summer, and then, suffering fatigue, trundled off to hibernate. It seems like the work and sweat and trials and tears that grew things and lost things were years ago. Now, put to bed by the sudden stroke of an icy hand, it all becomes a fairy tale, buried deep in the library shelves of my freezer, my pantry and my memory. I rarely stopped long enough to acknowledge it, but this summer was hard. In 5 years of farming, this was our busiest season yet. Equipment broke, one piece after the next, when hay was on the ground and stress was at its peak. Returning to a CSA model for produce sales meant an extra day of harvest and delivery every week, and more stress over ensuring that things grew. I sold burritos at market this summer, and although it was a great decision financially, it was also a hell of a lot of work. The weather was a challenge this year; late frost, then extremely hot and dry, and then suddenly more frost. We plowed through, we made it happen, but in retrospect, it’s no wonder that we’re truly and thoroughly tired. 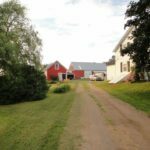 We hosted WWOOFERs on our farm for the first time this year. The experience was fantastic in every respect and having extra and willing helpers was amazing, but as a first-time host it also came with a certain level of anxiety. Would we be suitable hosts? Were our accommodations ok? Would it get irritating having unfamiliar people in our space? Would it be awkward? Thankfully those worries were for naught. I’ve never even had a roommate, with the exception of partners I’ve lived with, and generally I’m a bit of an introvert, so I really wasn’t sure if having other people around all summer would be something I could handle. Perhaps we just got lucky this year, but it feels weird now NOT having them around. On the other hand, I thought for sure that having help would allow time for more bike rides and hikes and hanging out in the hammock. On that level I was dead wrong. We kept up this year, but barely. It was a tough one. With exhaustion and the accompanying hallucination, sometimes comes clarity. 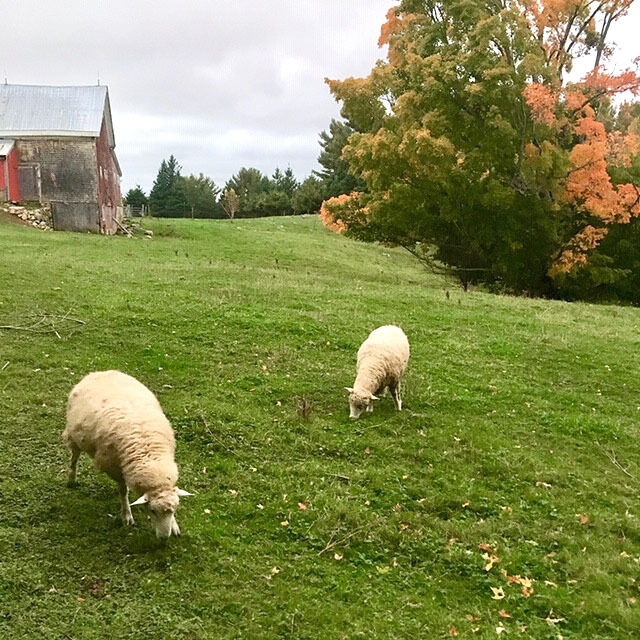 We went into this farming thing driven by a passion for good, wholesome food (and my own concerns for sustainable production and food sovereignty). We have recently passed the 5-year mark on our journey. We’ve been nothing, so far, if not diverse. Soap, maple syrup, veggies, eggs, pigs, chickens, turkeys, hay, goats. There’s not much we haven’t tried in our quest for sustainable living and sustainable farming and making a living along the way. Through it all I keep reminding myself of why we started, and I keep coming back to one thing – pursuing a farm-to-table production model, value added; grow it and feed it. Where the pitchfork meets the fork is where my passions coagulate to form something real and nourishing and desirable. Dirty fingernails vs. clean food… I dig the tension. I have no illusions that next year will be any easier than this year, but I do have a better idea of what I need to pursue. I know the CSA is a win for us. I know that feeding people works for me from both spiritual and business points of view. I know that the cycle of growing and cooking makes me feel complete. Next year the burrito business will expand, and with it, I’ll have another outlet to feed the things I grow to people who’ll appreciate them. I know that all our eggs will never be in one basket, and I now realize that also means I will work more, be exhausted more, and have more small successes. Can I live with that? I’m just starting to realize that I probably can’t live without it – it’s my tragic personality flaw. I don’t sit still for long, and when I do it’s not of my own volition. I used to think that feeling a need to constantly do different things was a sign of a creative mind, but I’m starting to question that logic. That saying about the devil – something about how he makes work for idle hands? There might be something to it. Maybe you should start calling me Satan. Fall will end, and with that the “quiet season” approaches. Ramping up soap-making as Christmas sales increase. Nights on labour watch in the barn. Shopping for next year’s seeds and then starting them. Tapping trees and making maple syrup. Bandaging fences to keep animals in when the snow gets too high. Fixing frozen water pipes. Driving to markets on icy roads. And when all that is over, spring arrives. Bugs, and planting and haying and… and… and. Farming, like life, is a relentless cycle. If you think farming is ever easy, even for a day, you are wrong. If you think there’s anything more rewarding and more able to connect you to your surroundings emotionally, spiritually, mentally and physically, you are also wrong. Nothing reduces you to a blubbering heap and elevates you to soaring highs like this. We’ve learned a lot this year; about making hay, about growing stuff, about what’s worth fretting over and what’s not, about ourselves. Summer is gone, but it’s ok. As long as fall comes, and then winter, and then another spring, there will be more opportunities to tweak and prioritize and build efficiencies and ride bikes and spend time in hammocks. We’re a long way from where we started and although we still have a long way to go I’m learning that it’s not about where we end up, it’s about how we get there. The 5-year mark is a biggie for any business, and I think we can feel pretty content that we’ve crammed about 10 years worth of learning into that first 5. We’ve got amazing customers, more demand for our products than we can fill, we’re paying the bills, and we go to bed every night with a fantastic sense of achievement. Fall is about reflecting, and despite the bags under my eyes, I’m pretty happy with what I’m seeing reflected back. 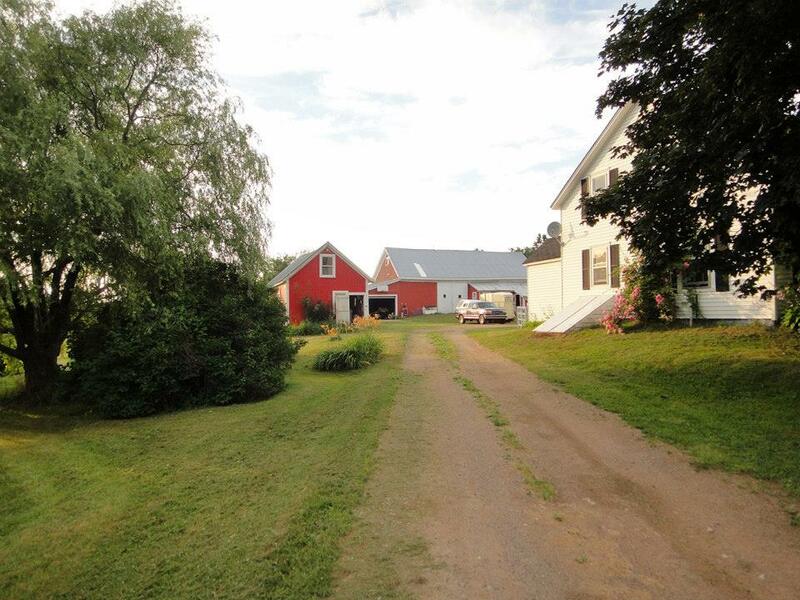 Happy 5 years of growing and providing and morphing, Tipsy Toad Grove Farm! You’ve been good to us so far.